Some people think that male K-pop groups are all the same. However, research suggests that fans differ in their attitudes towards individual male K-pop groups. Responses collected from fans of Super Junior and BigBang reveal that they also hold different opinions on their music and group dynamic. Such responses suggest that while some do not distinguish between male K-pop groups, fans do. However, a comparison of the responses from fans of Super Junior and BigBang reveals that fans like the groups for different reasons. This data represents a convenience sample collected via an online survey between December 8, 2012 and May 1, 2013. Respondents were asked to explain why they considered themselves a fan of the respective groups. 80 respondents identified themselves as fans of Super Junior, and 119 respondents identified themselves as fans of BigBang. Of these 199 respondents, 95.7% were women and 4.3% were men. Participants were: Asian (42.3%), White (41.2%), Latino (8.4%) and Black (7.9%). They largely hail from the United States, Hungary, United Kingdom, Philippines and Australia. Respondents range in age: 32.6% were 16-18, 31.6% were 18-21, 12.8% were 22-25, 14.4% were 25-30 and 8.6% were 30 and over. This data was analyzed using phenomenological methods. Both fandoms cite music as a major factor in the appeal of the groups, but Super Junior fans liked the upbeat nature of the music, while BigBang fans valued the edgy and unique nature of the group’s music. Super Junior fans like the cheerful nature of the music. One respondent noted: “I can listen to their songs any time even if I sad or depressed” (Anderson). Another stated: “Their music always makes me smile no matter how depressed I am” (Anderson). 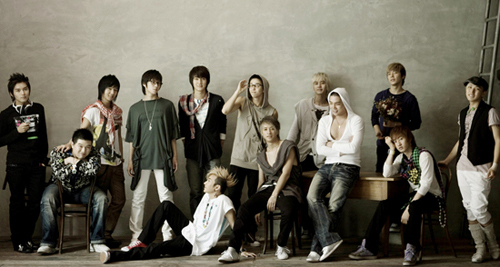 Super Junior fans also cited the pop-oriented style that the group reflects, as well as a range of styles. One respondent wrote: “Their music has gone from happy, bubbly pop to funky dance tracks” (Anderson). BigBang fans focused more on the unique nature of the music. Some cited the specific genre of hip-hop as a major reason for the appeal of the group. One respondent noted: “Their style of music is what I enjoy most in American music, even if I don’t listen to American music as much anymore. Hip hop and R&B were genres that I grew up on but then it started changing too much for me. But Big Bang has a style to them that makes me love the genre all over again” (Anderson). Such opinions dovetail into another theme that emerged from the responses, namely, the unique nature of the group in respect to BigBang’s music. One respondent noted: “Their music caught me when I first listened to it and it is nice to listen to whenever I want to something different then the usual Kpop” (Anderson). Another noted: “Their music is distinguishable and stands out amist all of Kpop” (Anderson). BigBang has a reputation for being more adventurous in terms of their music. Both fandoms cite group dynamic as another major factor in the appeal of the groups, but Super Junior fans describe that dynamic in terms of cooperation and a close-knit bond, while BigBang fans focus on the individual members’ contribution to the group. Despite the large number of members, Super Junior fans described the group as close-knit. Some respondents focused on how they act as one or a team. One respondent noted: “They have their own personality but still can be one” (Anderson). Another wrote: “Not typical boyband material. They have a strong bond despite being a huge group” (Anderson). Other respondents focused on the close bond between members and several used the metaphor of family. One wrote: “Watching their bond as a group really influenced me. Seeing how they trust each other. I can feel and see their brotherly love, how they care about each other” (Anderson). Another wrote: “Super Junior are a big group because they have lots of members but despite that they all get along like a family” (Anderson). Another responded: “What I really like from them is their close relationship with each other. They are truly like a family, they’re like brothers” (Anderson). This may be related to fans watching Super Junior’s participation in extra-musical activities in the form of television and radio appearances. Members of Super Junior hosted and/or starred in the Korean variety show Strong Heart from 2009-2012 and the radio show Kiss the Radio from 2006 to the present. In these spaces, fans develop opinions about the dynamic between the members. One respondent wrote: “I understand and love that they’re an entertainment group with members doing radio shows, acting, variety shows and hosting! This has given me the chance to get to know them through many mediums and it’s reassuring to know that at least a few members are still active during their non-promotional period!” (Anderson). In addition to scripted shows, Super Junior also appears on variety shows, which are often based on improvisation and require more participation. One respondent noted: “I didn’t actually like Super Junior much at first, but I kept watching them on variety shows that I liked and the SJ members were always making me laugh so much” (Anderson). 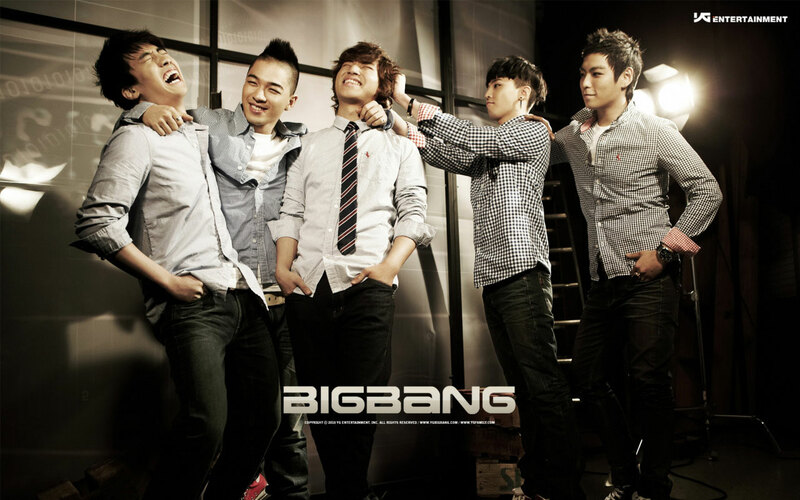 While fans of BigBang cite group dynamic as part of the appeal of the group, they focus on the individual members within the group. Most respondents focused on the unique nature of the individual members. One wrote: “I also like how distinct the members are from each other” (Anderson). Another said: “Each member has their own talents and strengths when it comes to vocally and lyric writing and Big Bang along with YG utilizes that talent extremely well” (Anderson). Still another wrote: “Each of the members have very different but equally interesting styles from their style of singing to the dancing” (Anderson). Others cited individual members as part of their reason for liking the group. Of these responses, the largest number cited G-Dragon as their reason for liking the group. One respondent noted: “G-Dragon has also been very successful on his own drawing me into the group as a whole” (Anderson). Another noted: “G-Dragon is probably one of the reasons why I like Big Bang so much. I like the music he produces and I appreciate that a lot since not all groups produce their own music. The fact that someone from the group produces their own music is pretty awesome” (Anderson). Fans of Super Junior like the group because they are traditional idol group. They like the pop nature of their music. They value the camaraderie they see within the group as a result of television and radio appearances. In contrast, fans of BigBang like the group because they challenge this notion of a traditional idol group. Despite being the product of the same kind of training system that produced Super Junior, they see the group as more innovative and creative in their music. They perceive the group as a collection of individuals rather than a cohesive unit. Because of the fewer number of television appearances, their fans may not develop the same kind of sense of camaraderie among the group. 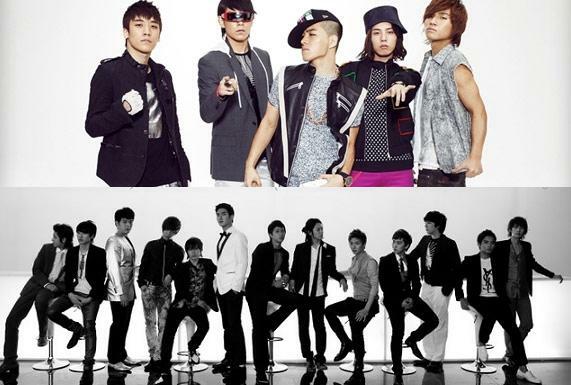 Fans of Super Junior and BigBang represent just two individual K-pop fandoms, but this comparison suggests that fans do not view male K-pop groups in the same way. “BIGBANG – FANTASTIC BABY M/V.” 6 Mar 2012. YouTube. Web. 19 Dec 2013. “Super Junior 슈퍼주니어_Mr.Simple_MUSICVIDEO.” 3 Aug 2011. YouTube. Web. 19 Dec 2013. Anderson, Crystal. “Super Junior/BigBang Data Set.” Unpublished raw data. Bae, Jung. “Album Review: Super Junior – Mr. Simple” hellokpop. 12 Aug 2011. Web. 19 Dec 2013. Caramanica, Jon. “BigBang Performs at the Prudential Center.” The New York Times. 9 Nov 2012. Gregory, Ashleigh. “[UnitedKpop K-pop Album Review] March: BigBang – Alive.” UnitedKpop. 26 Mar 2012. Nabeela. “Does Hallyu Only Have a Short Time Left on a Global Stage?” seoulbeats. 27 May 2012. Web. 19 Dec 2013. Shin, Solee I. and Lanu Kim. “Organizing K-pop: Emergence and Market Making of Large Korean Entertainment Houses, 1980-2010.” East Asia (December 2013): doi 10.1007/s12140-013-9200-0. “Will ‘Hallyu’ Last Long?” The Korea Times. 10 Aug 2012. Web. 19 Dec 2013. Wu, Emily. “Album Review: Super Junior – Mr. Simple. ” Ningin (blog). 2 Aug 2011. Web. 19 Dec 2013. Bring The Boys Out! : Fan Attitudes on Male Kpop Groups Differ by Crystal S. Anderson is licensed under a Creative Commons Attribution-NonCommercial-ShareAlike 4.0 International License. Jay Park: New Breed of Kpop Idol?